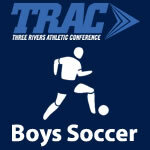 Soccer Boys – TRAC Sports – The Official website of the Three Rivers Athletic Conference. 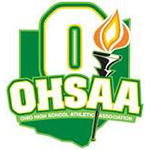 The Ohio Scholastic Soccer Coaches Association Boys Soccer All-State Teams have been announced. TRAC Player of the Year: Spencer Straka – St. Francis – Sr.
TRAC Goalkeeper of the Year: Brian Rutkowski – St. John’s Jesuit – Sr.
Spencer Straka – St. Francis de Sales – Sr.
Brian Rutkowski – St. John’s Jesuit – Sr.
Eli Shope – St. John’s Jesuit – Sr.
Aaron Swerlein – St. Francis de Sales – Sr.
Brady Shenise – Findlay – Sr.
Dane Kalman – St. John’s Jesuit – Sr.
Ruger Wamer – Clay – Jr.
Abdi Faqi – St. John’s Jesuit – Sr.
Mason Orians – Central Catholic – Sr.
Dylan Brady – Fremont Ross – Sr.
Dominik Fadell – Whitmer – Jr.
Carson Dale – Findlay – So. Jarrett Puckett – St. Francis de Sales – Jr.
Keeghan Calkins – Clay – So. Alex Zysik – St. Francis de Sales – Sr.
Cole Mericle – Lima Senior – Sr.
Jacob Gangle – Findlay – Jr.
Joey Akpunonu – St. John’s Jesuit – Jr.
Usman Khan – St. John’s Jesuit – Sr.
Zach Row – Clay – Sr.
Noah Sharrit – St. Francis de Sales – Jr.
Aidan Lewis – Whitmer – Sr.
Mason DeWalt – Fremont Ross – Jr.
Brett Bishop – Central Catholic – Jr.
Kevin Kuhn – Findlay – Sr.
Deion Vartorella – St. John’s Jesuit – Jr.
Kristian Mendoza – Whitmer – Jr.
Zach Rowe – Clay – Jr.
Carl Pierce – Central Catholic – Jr.
CJ Buchele – Central Catholic – Jr.
Jake Montanaro – Central Catholic – Sr.
Todd Gyurke – Clay – Sr.
Brody Leichty – Clay – Sr.
Caleb Bradley – Clay – Sr.
Devin Snyder – Findlay – Sr.
Mitchell Meyer – Findlay – Sr.
Andrew McCormick – Findlay – Sr.
Isaac Minor – Fremont Ross – Jr.
Cesar Flores – Fremont Ross – Jr.
Caleb Bennison – Fremont Ross – Sr.
Caden Fry – Lima Senior – Jr.
Micah Rex – Lima Senior – Sr.
Josh Keys – Lima Senior – So. Emmett Culp – St. Francis de Sales – Sr.
Ryan Conway – St. Francis de Sales – Sr.
Nick Kenner – St. Francis de Sales – Jr.
Ben Adams – St. John’s Jesuit – Sr.
Justin Batdorf – St. John’s Jesuit – Sr.
Scott Zibbel – St. John’s Jesuit – Sr.
Austin Gibbons – Whitmer – So. Gaven Sloan – Whitmer – So. Donald Wingate – Whitmer – So. St. John’s Jesuit is ranked in the final weekly 2018 OSSCA Boys Soccer State Poll. St. John’s Jesuit is ranked 5th in Division I in the final weekly 2018 Ohio Scholastic Soccer Coaches Association Boys Soccer State Poll. 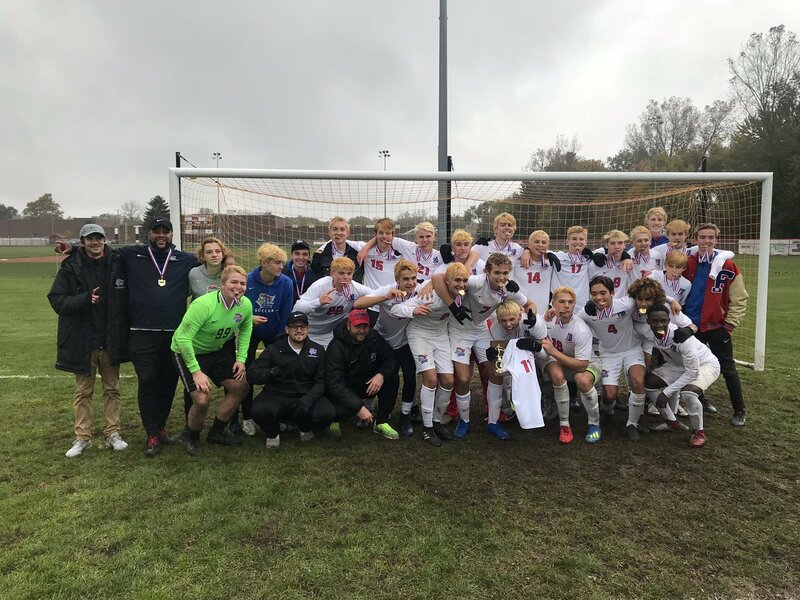 By npohlman|2018-10-18T09:52:05-04:00October 17th, 2018|Scores, Soccer Boys, St. John’s Jesuit Titans, TRAC|Comments Off on St. John’s Jesuit is ranked in the final weekly 2018 OSSCA Boys Soccer State Poll.